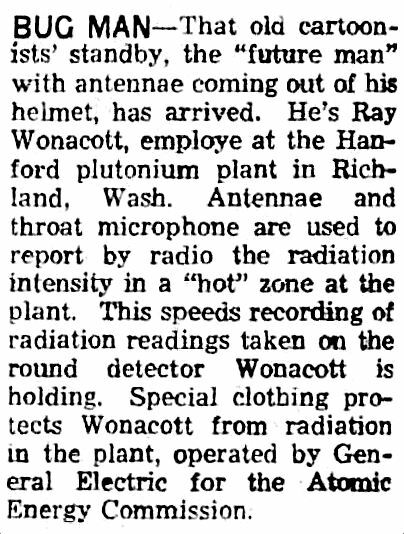 Behold, Ray Wonacott, a Cold War-era employee of the Hanford plutonium plant at Richland, Washington (later known as the Hanford Site) dressed in his antennaed “bug suit” armed and ready for radiation detection. If nothing else, I’ve learned what a “throat microphone” is. 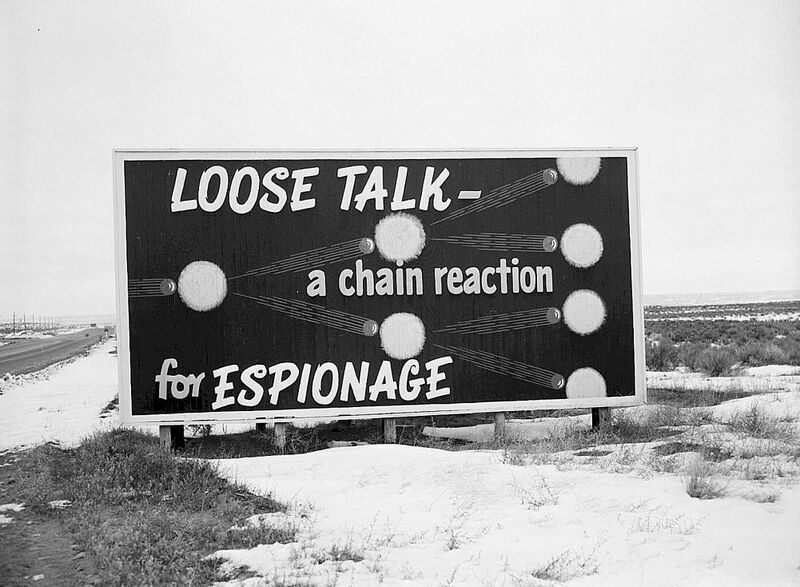 Remember: “Loose talk — a chain reaction for ESPIONAGE.” Remain vigilant. International News Photo (cropped) found on eBay. 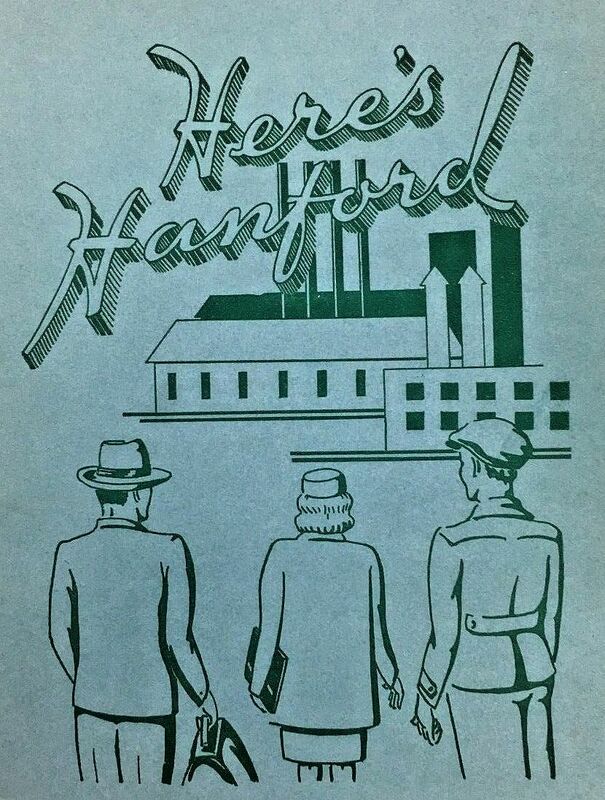 “The History of the Hanford Site, 1943-1990” by David Harvey is a 45-page publication issued by the Pacific Northwest National Laboratory and can be read in its entirety in a PDF here. 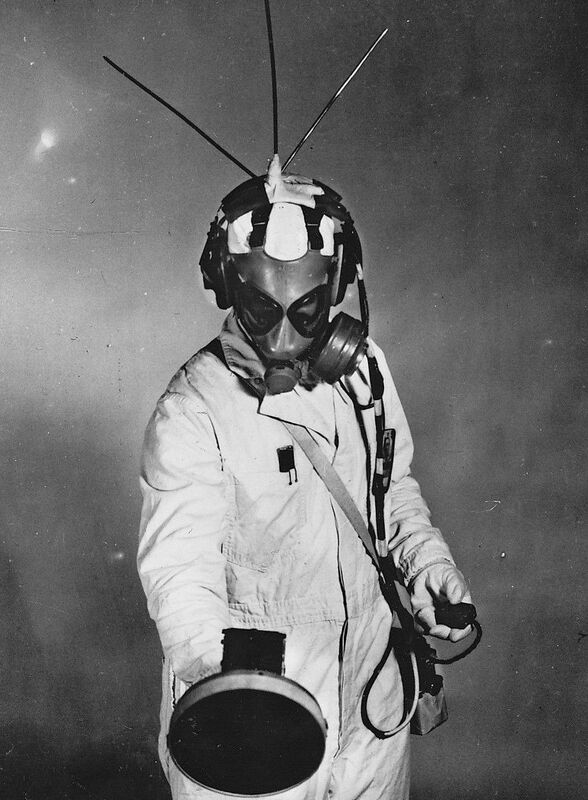 This entry was posted in 1950s, Cold War, Science/Technology and tagged Cold War, Nuclear, Radiation. Bookmark the permalink.